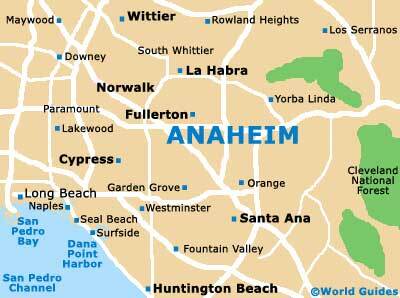 A huge tourist magnet in southerly California, Anaheim resides within Orange County, where it is the biggest city. However, it is the city of Santa Ana that enjoys the title of county seat here. The boundaries of Anaheim are frequently described as being the Riverside County border (east) and the border with the adjacent city of Cypress (west). Many interesting neighborhoods lie within the city itself, such as the downtown district (home of the Colony area), Anaheim Hills and the sprawling Disneyland resort. 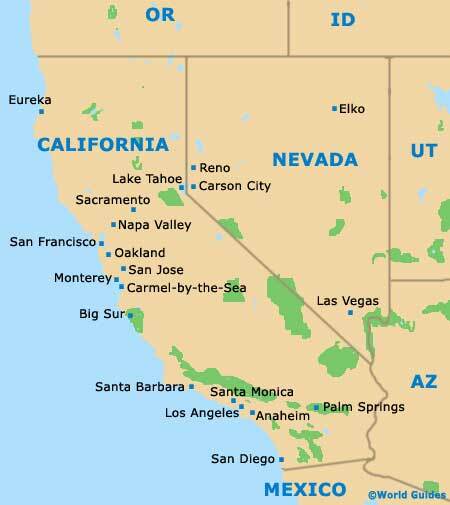 Both Long Beach and Santa Ana provide further interest for those enjoying a Californian vacation here. Also of note is the recently developed area known as the Platinum Triangle, which is centered around the baseball park named the Angel Stadium of Anaheim. Located on the northern side of the Riverside Freeway (California SR-91) is the Canyon district, an area populated by local businesses. Heading in a northwest to southeast direction. the Santa Ana Freeway (Interstate I-5) intersects much of the city, passing by the Disneyland Resort itself and connecting destinations such as Norwalk, Buena Park, Eldridge Park, Tustin and El Camino Real. If you have chosen to hire your own set of wheels, then a map of Anaheim is a useful accompaniment to any sat-nav system. 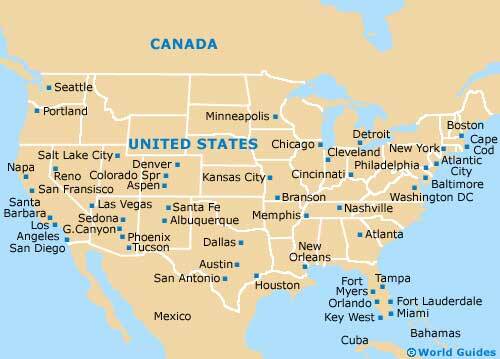 Maps can usually be obtained when you rent your vehicle, or alternatively from the Anaheim / Orange County, California Convention and Visitors Bureau on West Katella Avenue, which is close to the Anabella and Marriott hotels. Alternatively, there are a number of useful information centers located within the main theme parks around Anaheim.